Tonight an impassioned group of residents loaded with data addressed the Cape Coral City Council in an attempt to maintain the city's unique 1100-foot construction buffer for eagle nests. And they won. By a vote of 7-1, their city representatives voted NOT to change their ordinance to the federal guideline of 660 feet. Cape Coral is not only the fastest growing city in the country right now, but they are also steadfast eagle lovers. Many spoke about how the eagles are a major draw to their community. And that draw brings in revenue. There are 10 nests in the city, with 7-8 nests currently active. One resident pointed out that there has been a decrease in the number of nests in surrounding cities that only adhere to the U.S. Fish and Wildlife guidelines. As you may know, the City of Manassas not only allowed construction deep within the 660-foot buffer, as in five feet from the nesting tree, but they still have not put into place any eagle-specific signs on the warehouse or park property to protect the eagles from disturbing onlookers. In our upcoming documentary, Who's Protecting Our National Bird? you will see the egregious attempts by the city, the developers, and the U.S. 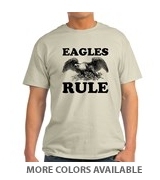 Fish and Wildlife Service to circumvent protections for our eagles, and to be honest with the citizens. In one of many emails obtained by the Freedom of Information Act, City of Manassas Community Development Director Liz Via-Gossman chastises the warehouse developer, Pruitt Corporation, for clearing and grading before the recommended August 1 start date. But the message to the media and to the public by the city was that the land owner was following all local, state, and federal guidelines and permits. False. 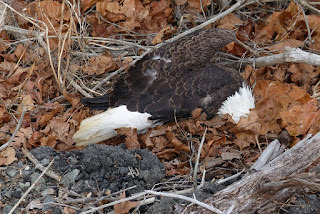 Dead eagle located two miles from the Manassas eagle nest. On the bright side, the ignorance of some of our Manassas representatives may have helped tonight's vote in Cape Coral. Last week I shared our film's trailer with the mayor of Cape Coral and their council members, along with other detailed information. In tonight's discussion Mayor Coviello brought up the need to consider the area surrounding the nest where the eagles feed, something I also mentioned in an email sent today. In the past, our eagles could dip down below the nest to pick up a squirrel or rabbit or snake. There are pictures of that before the warehouses were built. Now what they have below them is asphalt. That means they must travel farther for food, which puts them in jeopardy of getting hit by cars or trains. 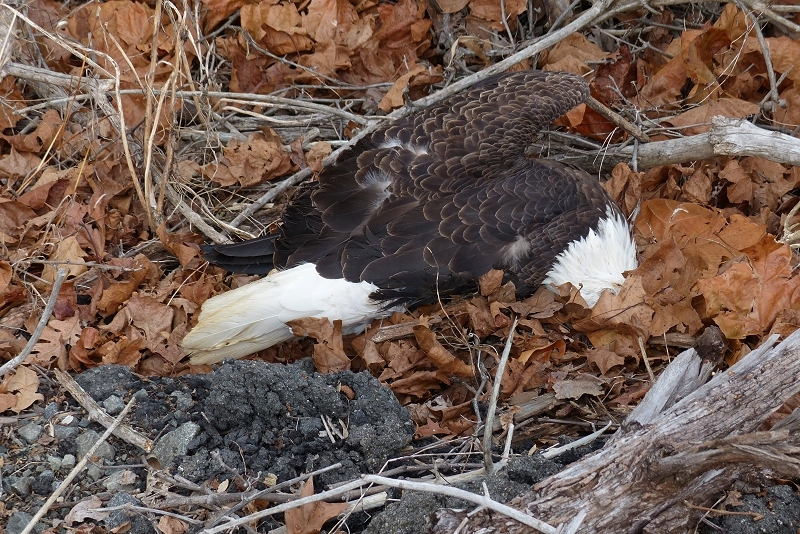 Just two miles from the nest we discovered a dead adult eagle along the tracks last December. The consequences of habitat loss are real. If you would like to make a donation to our documentary so it can help other cities make the right choice when it comes to our National Bird, you can do so at https://www.gofundme.com/bald-eagle-preservation-documentary. Your name will be included within the credits. We appreciate your support!